Leukemia is the most common form of cancer in children although it also affects people of all ages. A stem cell transplant from a matching volunteer donor is often the only thing that stands between life and death for persons with leukemia. The challenge is to find a matching donor. This is where the National Bone Marrow and Leukemia Donor Awareness Month comes in – with the highlight being Sunflower Day on September 21. On this day everyone is encouraged to wear one of the colourful topes (Tube of Hope) that are available at various outlets. While there are only a few blood types, where any other cell tissues need to be transplanted, a match must be found from millions of different tissue types to avoid rejection. For a stem cell transplant the chance of finding a match amongst relatives is only about 30%, so in 70% of cases, a non-related donor is needed. The non-profit Sunflower Fund (TSF) was started in 1999 by parents of children with leukemia. This organisation recruits potential stem-cell donors who are prepared help anyone in need of a life-saving bone marrow transplant. The information is kept on a national registry which also shares it with a worldwide database called Bone Marrow Donors Worldwide. The Fund pays for the expensive tissue typing on the blood samples collected from potential donors and maintaining the registry, as well as any costs related to stem-cell donation. It also provides financial assistance for families in need who cannot afford bone marrow transplants. 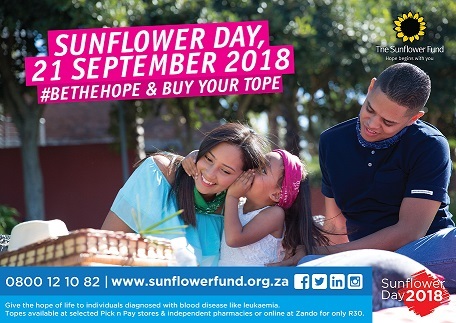 The work of the TSF needs funding and the colourful topes sold every year for Sunflower Day is one of its main fund-raising campaigns. This multipurpose article of clothing which sells for R30 can be used for various sports and outdoor activities as a headband, scarf, cap or arm-band. Furthermore, there is a schools competition in which the top schools can win prizes and corporations are also encouraged to support the campaign. 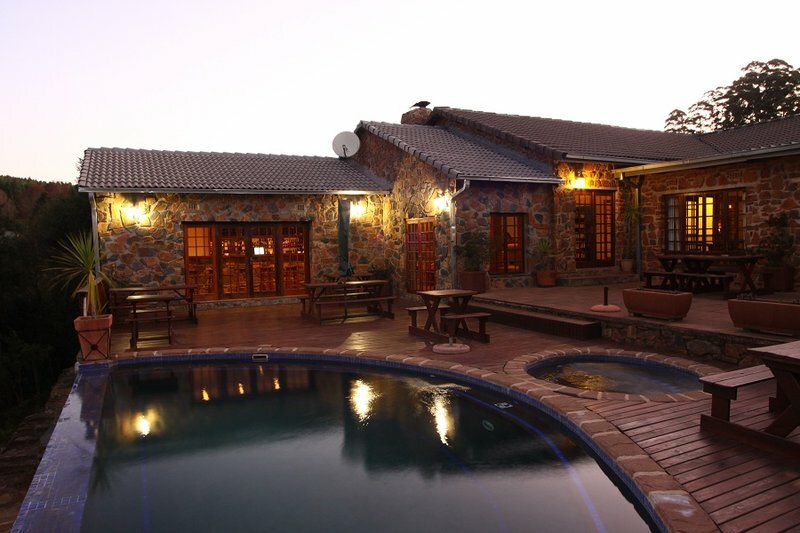 So be a hero – get your tope and wear it on Sunflower Day. For more information on the Sunflower Fund or to register as a potential stem cell donor, you can call 0800-12-10-82.